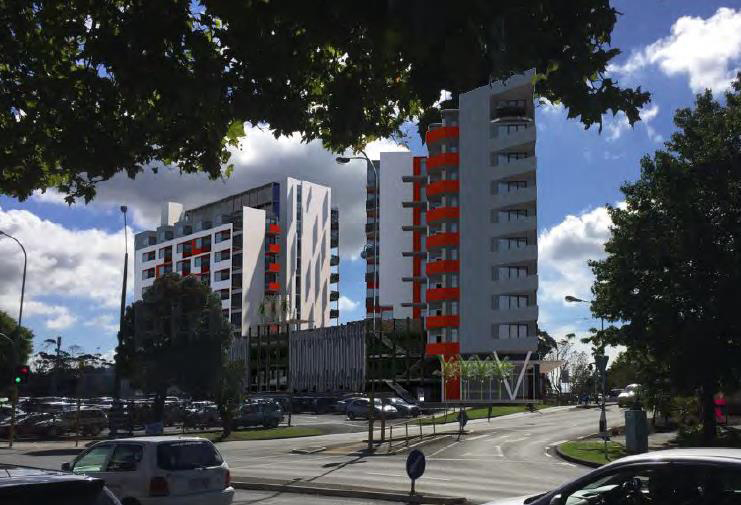 The application for resource consent to construct two ten story apartment towers in Glen Eden has been approved. As I previously blogged the Waitakere Ranges Local Board had concerns about the proposal and made submissions concerning the Resource Consent application. We support urban renewal and intensification particularly close to transport nodes as long as the development is of good quality and this particular site is clearly ideal in this regard. We thought the apartment towers should be capped at 6 stories. As part of our submission on the Unitary Plan we had advocated for a six story height limit in the local area and this has been accepted. The application predated the Unitary Plan however and under the old plan there was no height limit. We supported efforts to minimise parking requirements but were worried that the park and ride which is being constructed close by will be swamped by apartment dwellers. We were concerned that most apartments would be one bedroom and the rest would be two bedroom. We wanted all stages of life, including families, to be catered for. We wanted social housing to be “pepper potted” rather than concentrated in one area. We are also worried about the amount of further traffic generated, particularly as the nearby railway crossing is already congested at peak periods, and noted that increasing frequency of trains in the future will only make things worse. I understand the applicant is discussing the development with community housing providers. As a priority they should include the Local Board in these discussions because the apartments, presuming they are constructed, will pose significant implications for the local area. Despite our request that the application be notified it was processed on a non notified basis. I believe this is a major weakness of the system. Local communities need to be aware of what is happening in their local areas, particularly if a project has the potential to dramatically change the nature of it. What is the point of the public voting for council or local board members if they do not actually have any say or control over what the council does? Some desk jockey can approve a non notified resource consent for something like this without any reference to the community or those supposedly involved in making decisions for the community. I can understand the desire to take individual decisions out of the hands of elected members. But the problem is that current plans, passed by elected members, reserve very little ability for the public to have a say. Central Government changes to the RMA have made it worse. There has to be a major revamp of the system to change this. On the bright side there are no nearby residences being shaowed etc.